DAI began working in August 1999 to transform the National Microfinance Bank (NMB), a troubled state-owned savings bank in one of the world’s poorest countries, into a profitable commercial bank providing a full range of services to poor and middle-income customers. We focused on growing the bank’s revenue base while instituting operational improvements to create a foundation for institutional strength. 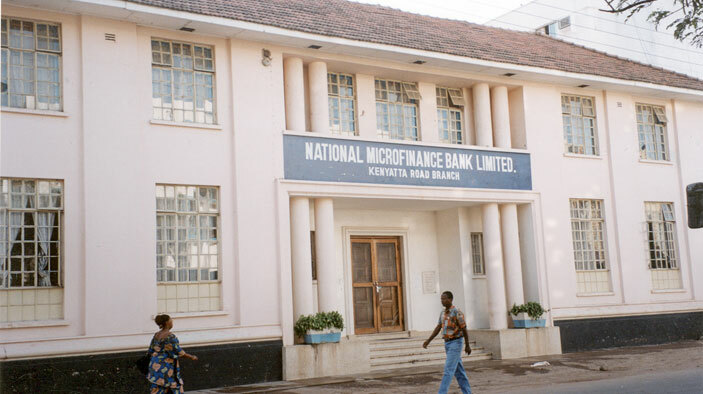 With technical assistance financed by the World Bank and the Government of Tanzania, NMB’s management was restructured, new products were developed, all levels of staff were trained and retrained, and new information technology and management information systems were implemented. Build staff capacity, guiding the expansion of microfinance products and designing and rolling out new products including agricultural credit and small and medium-sized enterprise loans. Work with the African Medical and Research Foundation to implement a workplace HIV/AIDS program, including a review of staff benefits (including health insurance, leave, and death benefits) and health expenditures, a survey of staff on their understanding of HIV/AIDS, a two-day prevention program for all staff, and development of a peer educator program. Re-engineering of the bank improved management, customer service, and product offerings throughout the branch network. As of 2005, the bank was providing micro, salaried worker, personal, and pension loans, deposit, remittance, and payment services to 131,000 clients through 108 branch locations countrywide.